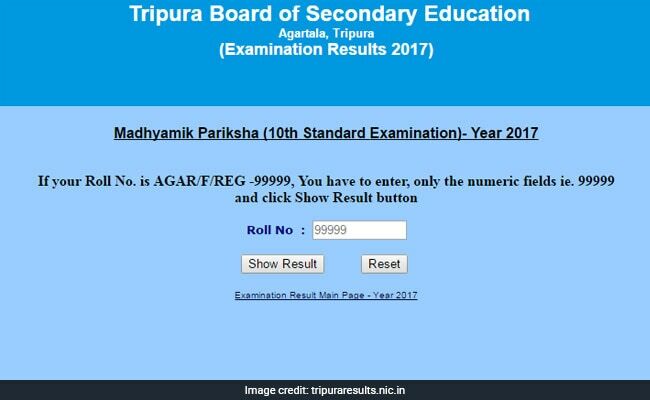 Tripura Board of Secondary Education (TBSE) has declared the result for Madhyamik (class 10) board exam today. The result is available on the Tripura Government official results website (tripuraresults.nic.in). New Delhi: Tripura Board of Secondary Education (TBSE) has declared the result for Madhyamik (class 10) board exam today. The result is available on the Tripura Government official results website (tripuraresults.nic.in). Apart from the official website, the result is also available on thirteen other results hosting websites and through SMS. This year, as per an estimation, almost 23,000 students appeared for the Madhyamik or class 10 board exam conducted by TBSE. With the declaration of the madhyamik result, the wait will now be for the result of class 12 board exam for Arts and Commerce streams. 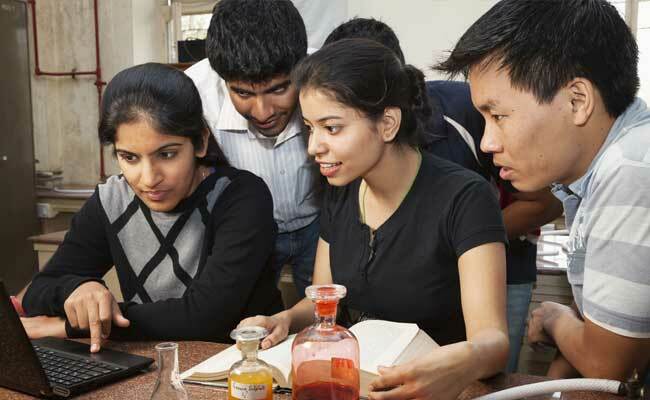 The board has already declared the result for class 12 science stream. How to check TBSE Madhyamik result 2017? Step two: Click on the Madhyamik result link 1 or link 2. Step three: Enter your roll number. You only have to enter the numeric part of your roll number. Step four: Click on show result button and view your result. The links are active and students can check their result now. As of now, for any roll number entered, the result status shows 'contact your school'. Students are advised not to panic and contact their respective schools to know their result. Students can also call to the Call Centres set up by Tripura Government for result-related queries. The call centre numbers are 2380566/ 2410039/ 2413946/ 2410156/ 2410160/ 2410165/ 2410172/ 2410173/ 2410174/ 2410176. Type TBSE10<space>Roll number and send the same to 7738299899 from a BSNL number or to 54242 from any other network operator.